I like the bronze lug nuts Kristian. It gives it a subtle flair that I enjoy. How much of a drop did you get with those springs? They are supposed to give a 1 to 1.5 inch drop. 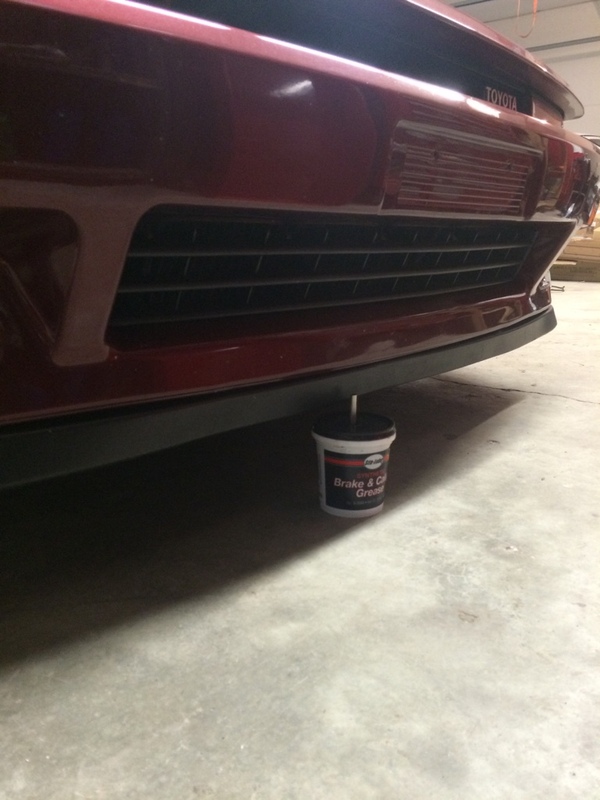 It might still be a little high, but I like not scraping anything when I drive around speed bumps and side walks. otherwise I would be targeting ONLY 18's since I can get more tire with them and help traction. I will run Tein coilovers soon too...and have already rolled and slightly pulled the rear fenders only. My current setup is front 235-40/18' on 18x8.5 25-offset rim and 275-35/18' on 18x10.0 24-offset rim rolling nice with no rubbing. extra 2' inch lip and make it a true 10'.5 wide rear rim..what you think? and put the 9.5' rim in front and relip the 8.5' lip with a +2' inch new burrel lip to make it 10.5' wide and get the deep lip look and put bigger tire at the back..
like 305 or 295-30/19' back, and 245-35/19' in front. You said you wanted traction... That's a broad definition and (from my experience) if you go 19 you will end up with a very thin sidewall. 17" would give you better "traction". Wide tired with stiff sidewalls will only give you optimum traction on flat roads. Also "hook" (tires grabbing the road at start) is lost with thin sidewalls as well. 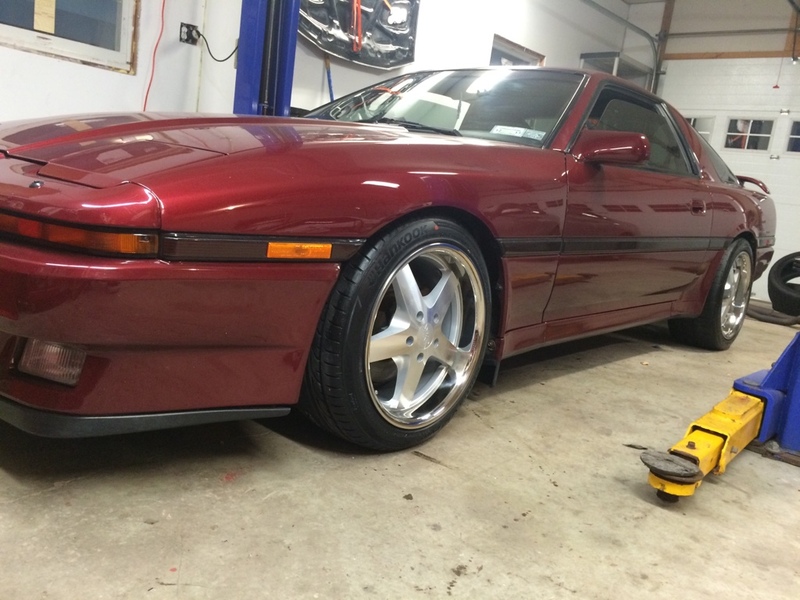 I personally find mk3's with 19" look odd. It's a bit too oversized. here's a new combo. anyone running this size, or know if it will fit? You are right... it is what it is. 18's will perform the best! 15" rims Will fit on the back ..
the other 2 appearto be custom... 18x11, don't know the offset. the second ones are also 3pc. I keep hearing that volk nevermade these wheels in 3pc, but here they are. one of the outer barrels is totaled and the othe needs refinishing. does anyone know where I can get them fixed? I've owned 3 sets of multi piece Volks : Av3, gtc, and gts. I have a friend who owns gt7. They are all two piece: the face and barrel. I can't see the pics that you posted, except for the last one, which I see to be a 2 piece gt7. Volk does not make 3 piece wheels. trust me, that wheel is a 3pc. i'll take another pic and post it. i have the tire off, and the barrel clearly comes apart. View attachment 77082 trust me, that wheel is a 3pc. i'll take another pic and post it. i have the tire off, and the barrel clearly comes apart. That specific wheel may very well be 3 piece, which means that it has custom 2 piece barrels. This wheel configuration did not come from the Volk factory, so it is still true that Volk does not manufacture 3 piece wheels. i never said that volk made it. not disagreeing with you at all. the ONLY reason i bought them, was because the bent one is a 3pc. now i just have to get it fixed and have them all polished. I see that one of the wheels have a bent face....while I'm skeptic that it can be repaired, keep us updated. You implied that volk made a 3 piece wheels. But no worries. I keep hearing that volk nevermade these wheels in 3pc, but here they are. Been reading through this thread for awhile now and finally decided on wheels. I'm on Megan EZ Streets and I'm going to go with MB Battles 18x9.5 - +15 all around with 245/40/18 front and 285/35/18 rears. Not into rubbing or scraping, so I'm going to roll, pull and adjust height until everything fits snug and perfect! You will stagger your tires with non-staggered wheelset? Rolled the front and rear fenders, but i dont think i would have needed to - did it just to be save. i can still lower the car another inch easy and i believe i will still be ok. The problem I am finding with our cars being lowered is the very long front nose. Going too low causes havoc trying to go up inclined driveways or parking lots because your bumper will basically stop the car... lol. I lowered mine just over 1" and will be raising it about 1/2" solely due to this. 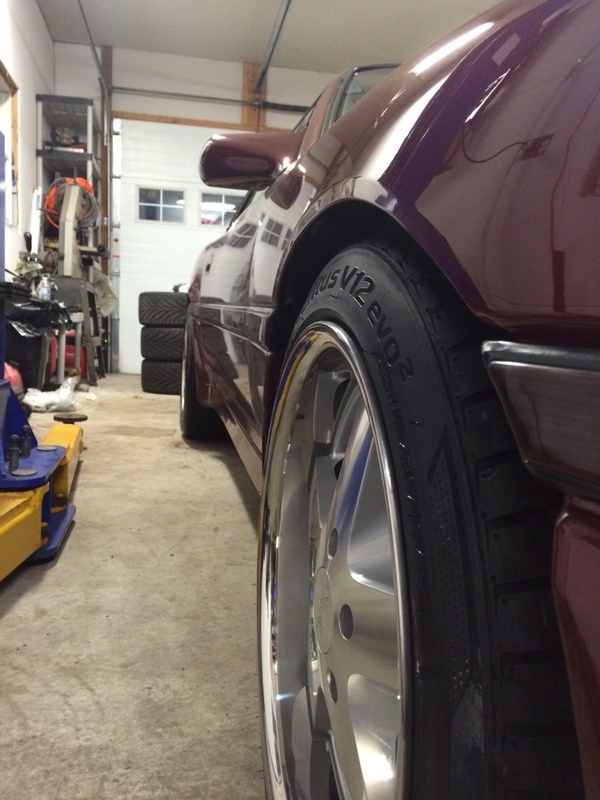 Has anyone tried running 17" fronts and 18" rears? Or would that look dumb? I ask because the eibach springs I have lower the front much more than the rear. Or (which is probably cheaper and smarter in regards to the suspension geometry) get a proper set of springs? I have no experience with eibachs to say if you have the proper setup. If you want springs that drop lower than Eibach, take a look a H&R. I love his car... That's exactly how I want mine. Need opinions from the wheel gods. I found some rare blitz wheels and wonder if they would fit, they are on a mk4 currently..specs-19x9 et41 & 19x10 et45. 245/35/19 front tire, 295/30/19 rear tire...thank you. I would test fit to make sure you like the look of a 19". My wheels are 255 on the rear with +38 and they only rub on really good dips at high speeds (the Sidewalls get tapped). The size you show should fit but they may be just lining up to the rear quarter. Should be no problem as that is similar to the width I am planning on. Your speedo will be out a bit. 18x9.5 +41 front and 18x10.5 + 41 rear. i'm pretty sure the rears are good, but not sure if the fronts will hit on the inside. Will it fit? On the rear, factory spring illumia shock. 295/50r15 tire. Th at's 26.8" tall. Will fender roll be good enough to daily that? Haven't been able to find pictures on here or on Google after extensive search. 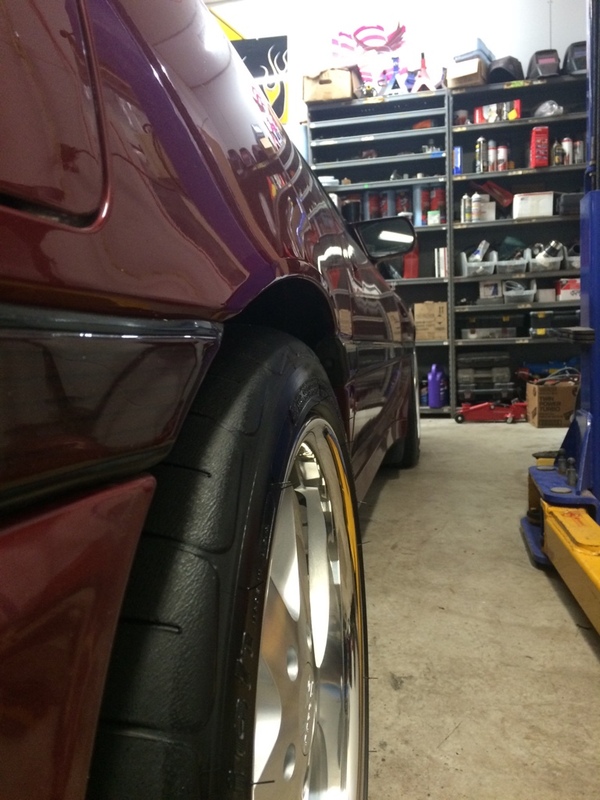 I would like to see some shots of OEM mk3 5 spokes on a mk3. I would love to see your different combos. I have a set on the car right now with 215/55r16 and bought a set of OEM size to replace them with. The car is lowered on H&R springs and I was considering adding 1" wheel adapters to the rear and maybe 10mm to the fronts. 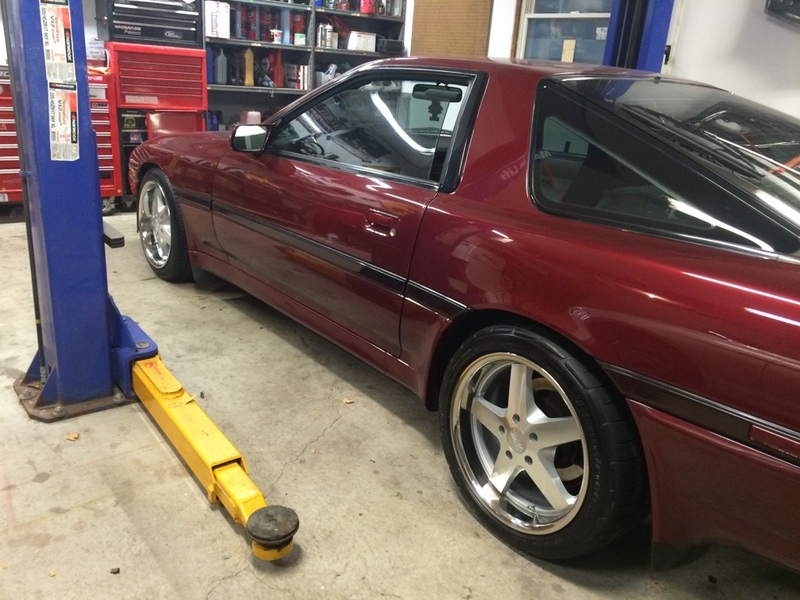 Please show what combos you have, different coils, springs, spacers, tires, fender rolled or not etc, but has to be the OEM mk3 5 spoke wheels from 91/92.